sailboat. : Lily Lolo BB Cream in Fair, Mineral Blush in Beach Babe & Lip Gloss in Clear | Reviews! 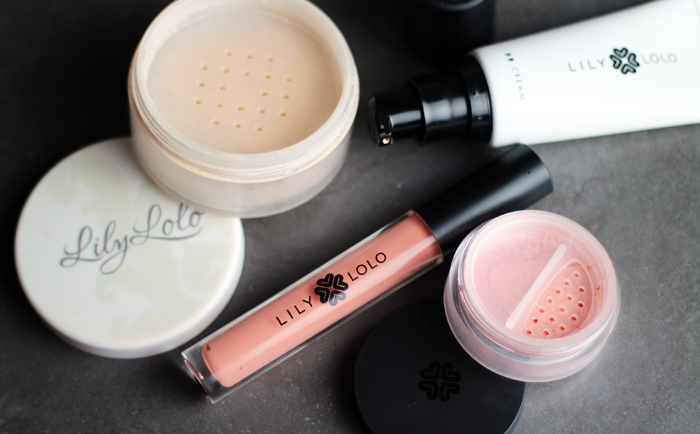 Lily Lolo BB Cream in Fair, Mineral Blush in Beach Babe & Lip Gloss in Clear | Reviews! Lily Lolo mineral make up reviews were what I was searching for when I first stumbled across the beauty blogging community back in 2009, so thank you Lily Lolo, I really have you to thank for all things sailorjennie! Lily Lolo have come a long way and it's so wonderful to see an authentic brand achieve so much success, driven by founder Vikki and her husband Arfan. On the first day of trading in 2005 they took three orders and now, as celebrations for their 10th birthday are well underway, Lily Lolo products are sold in 39 countries. A fabulous success story that highlights the quality of the range. When my skin was more on the oily side I adored the mineral foundation, it was the only thing I used for a really long time and I must have gone through at least three tubs! I was struggling a lot with acne at the time and the foundation was something that went a long way to giving me back the self confidence I had lost. Unfortunately my skin is much to dry to be able to use it alone now, but they've just brought out their BB Cream in the shade fair and it's the best match for my skin tone (I'm a MAC NC15 / NARS Terre-Neuve for reference) that I've found in a liquid base product in a long time. It comes in a squeezy tube with a pump, which is my favourite type of packaging, and the coverage is light and very natural. I do have to be careful with what I use underneath it though. If I've used a heavy moisturiser it can bunch up and become a little difficult to blend and if I don't set it with a powder it tends to move around, particularly where my glasses sit on my nose. But that's me being really picky. It's under £15, the colour match is great, and it's vegan friendly, so I'm totally willing to work with it a little more during application. Ignore the white tub, it's the old packaging that I'm currently using to house the sample of the mineral foundation in China Doll I bought a few months ago. It's just easier to swirl my brush in a large lid, rather than the little pot the sample sizes come in. This is my setting powder and it's perfect. It offers a little extra coverage but still looks very natural, it keeps my base in place whilst not being too matte. My skin still looks like skin, and that's exactly what I look for in a powder. Their shimmer blushes aren't my favourite, but their matte blushes are really beautiful. Beach Babe is the matte, light peach shade that I've been looking for! As with all Lily Lolo blushes it's pigmented, finely milled and incredibly easy to blend. The light colour means I don't have to worry about applying too much, but a small amount goes a long way and lasts all day. This particular shade isn't vegan friendly, but many are, and I think it's great that the website makes it clear which are and which aren't. Recently I've been on the lookout for something to replace my beloved Clarins Lip Perfectors and I think this might be it. I'm not a fan of bold lip colours on myself anymore so this sheer gloss with a hint of peach is one that has been a staple in my make up bag since I got it. The slight chocolate scent isn't a million miles away from the caramel of the Clarins Lip Perfectors, and they both give a glossy look without any stickiness. I also have the shade English Rose and it's been a real favourite for a long time. Happy 10th Birthday Lily Lolo - here's to many more birthdays to come! Have you ever tried anything from the Lily Lolo range? P.S. My 'All Aboard' partner for August, Loved by Laura, has just celebrated her first blog birthday - please pop over to say congratulations! Weightloss | This Week I maintained which I am weirdly happy about because I've been off plan a lot. I went out for a meal and had all the food and a burger and chips and a lot of alcohol was also consumed this week. I'm just quite glad I didn't gain anything. Basically, I need to stay on plan!! Ooh, I stumbled across this brand for the first time the other day whilst browsing the webs. I had no idea what to expect it terms of quality so it's nice to read a review. I like the sound of the BB cream and since trying out Vichy Normaderm, which you very kindly sent me, I'm a little bit of a convert. I'm loving the shade of the mineral blush, it's SO up my street. I always tend to shy away from loose powders, I really should experiment. What a success story behind this brand! I've yet to try any of their products but I love the sound of the mineral foundation, I think I'll order a sample and see how I get on :) Lovely post Jennie!